One day I had some friends over and, of course, I had food out for them. In the middle of the kitchen island was a plate of brownies. Everyone that knows me, knows these brownies are definitely not from a box and they dig in right away. 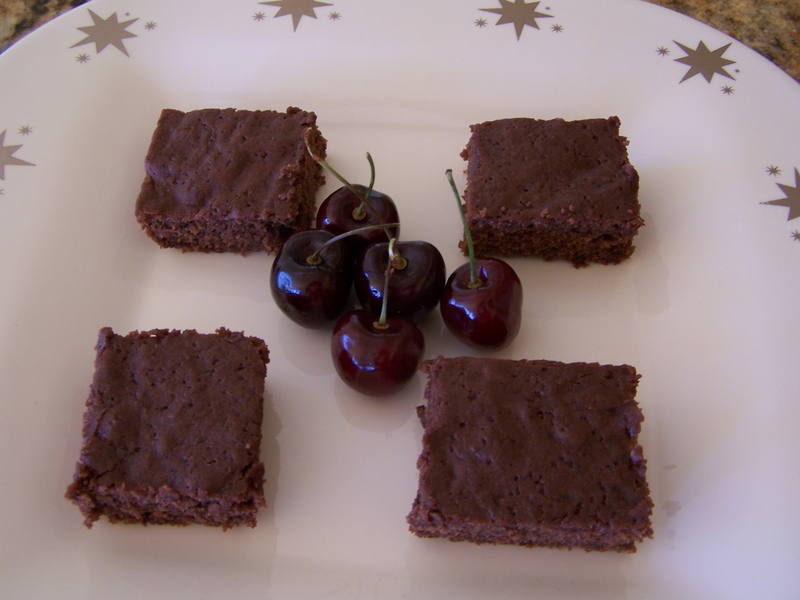 One friend says, “I love the cherries you put in the brownies.” I replied, “…just like a cherry dipped in chocolate.” They all agreed, “Yes, it is wonderful.” Then the real surprise came to their taste buds, “Wow: heat!” The heat they tasted would be the Cherry Jalapeño Jam that I make. I diced it up very small and added it into the brownie batter. The brownie plate was empty in minutes. I guess that is a recipe I will be making again. First I made a simple sugar dough recipe, rolled it out and cut it into small squares to lay over an inverted muffin pan. By turning my muffin pan upside down I can shape my dough into small cups. After baking them, I got out the Mascarpone cheese and stirred in some of my pear ginger jam, a little maple syrup and – the best for last – some crispy bacon. 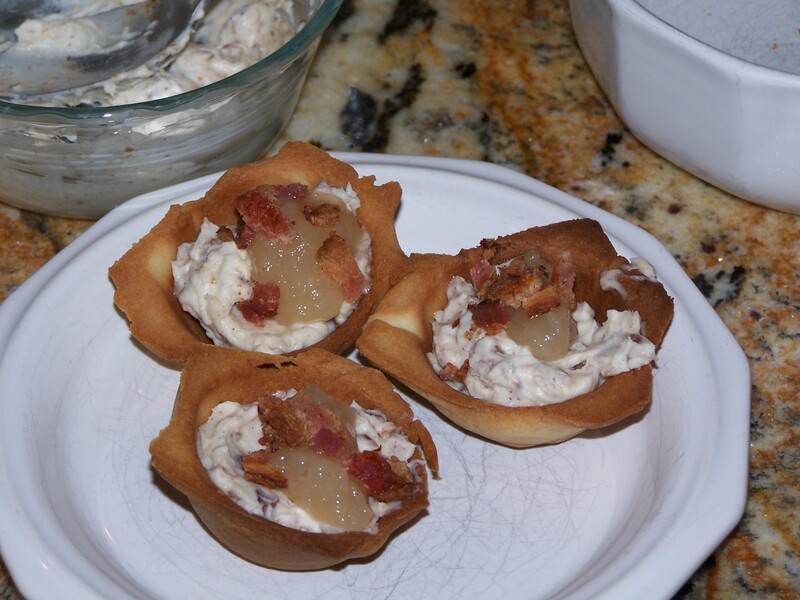 I filled the cups with the cheese mixture then topped it with a small amount of pear ginger jam and, of course, more bacon. My daughter thought I was nuts. Then she had a bite and a big smile washed over her face. I brought one back to my husband’s office for him and a few minutes later he came out and started searching around the kitchen. I asked him, “What are you looking for?” I knew exactly what he was looking for. “I’m looking for another one of those wonderful little cups of yummy.” I told him I only made three. He was not happy; he wanted more! Don’t be afraid to have some fun with your food. Get in that kitchen and make something out of the ordinary.